Create An InternetSurvey Today For Free! Create A Powerful Email Survey Using QuestionPro. Start Today With A Free Account. The features available through QuestionPro are all optimized for mobile, so you can create a survey using your tablet or smartphone. 1. Survey Templates: There is a huge template library that is offered by QuestionPro and includes various questionnaires handling topics such as customer service and human resources. To view the complete library of internet surveys, check it out here. 2. Uploading: Say you wish to bring in questions or a complete survey that you already have. 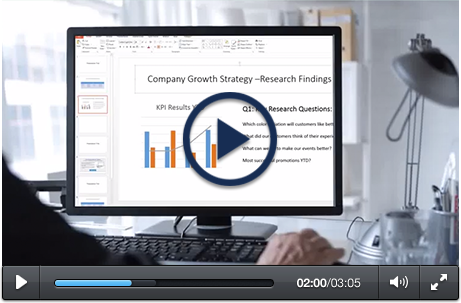 You can use Microsoft Word to easily upload them right into QuestionPro. 3. Starting Blank: If you wish to start from a blank template, you can choose from a variety of question types and survey customization options. If you work in Market Research, it can be very beneficial to conduct questionnaires. Knowing how the public will react to your products or services that are still in development can save you tons of time and money in the long run. Managing employees can be a very time consuming task in terms of hiring, training and promotion. Issuing surveys can help you speed up the process by identifying certain issues or characteristics of your workforce. Anyone that operates a business will gain valuable information from gaining the opinions and perceptions of their customers. Knowing what works and what doesn’t in the marketplace can lead to improvements that generate repeat customers. If you are teacher or school administrator, you'll definitely want to know what sort of impact the school and it's curriculum is having on the students that attend. Issuing surveys about the classroom environment plus post school activities can help you obtain information to enhance the school's image. Step 3: Select which way you'd like to begin your survey creation. You can start from a blank template, choosing question types and populating your survey with questions on the go. 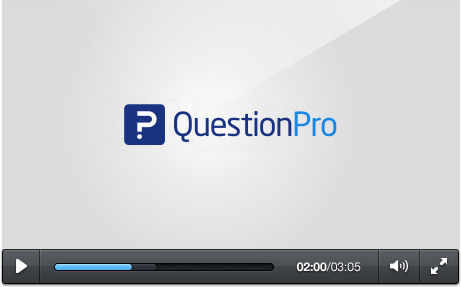 You can also browse the QuestionPro template library and choose a ready-made questionnaire to edit and customize. Lastly, you can import an existing survey. There are many ways that QuestionPro stands out among other survey providers. Think about these following questions when doing some browsing among other survey creators. What's the process for starting an account? Are you able to create on in just a matter of seconds? 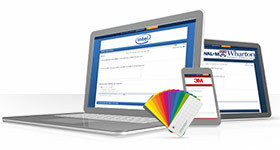 Once you're logged in, what sort of options do you have for creating your new questionnaires? Do they have a huge survey template library that you can view over a hundred ready made surveys for editing and customizing? What about starting from a blank template? Can you choose from over 30 different question types that vary from simple multiple choice to advanced style side-by-side matrices? Let's say there's a questionnaire that you already have and would like to use for your online survey. Are you able to easily import your survey into the editor? When you choose QuestionPro, you can do everything above and more! After your survey has been created, what sort of options do you have for sending your survey out? Are you able to import a list of email addresses you can use for easy mass-distribution? How about if you need your survey embedded on your website or blog? Are you provided with custom HTML code to easy allow for that? How about posting to social media channels from within the interface? Can you easily do so to Facebook and Twitter? Or how about if you need a QR code made? 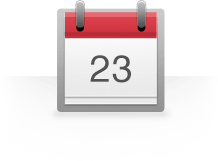 Can you generate one from within the interface? 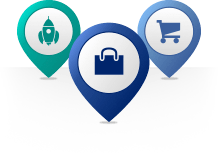 QuestionPro provides you with all of these features, plus more! Once your survey has been sent out, what can you do in terms of reporting and analysis? Are you given a real-time summary of your results, that include seeing the number of people that completed your survey, the number of drop outs and the average time it took for those to complete it? Are you able to create professional infographics and word clouds to represent your data? How about analysis tools? Can you create data filters and create cross tabs? Or about performing trend or TURF analysis? If you need you data backed up, can you download your raw data as a file or back it up to Dropbox or Google Docs? With QuestionPro, you can do everything mentioned above and even more. 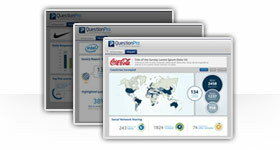 With QuestionPro, you can make questionnaires as soon as your sign up for a free account. Once you've logged in, you can choose from three different ways to create your surveys. You can start from a blank template, choosing from over 30 different question types and customization options. In addition, you have a giant template library that you can choose various ready-made surveys from to fully edit and customize. If you have a questionnaire or specific survey questions that you like to include, you can easily upload them into the editor as well. Once your survey is created and you're ready to send it out, you have quite a few options for sending it out. If you happen to have a list of email addresses that you'd like to use for your distribution, you can easily upload them into QuestionPro. You can also embed your survey to your website or blog with the provided custom HTML code. 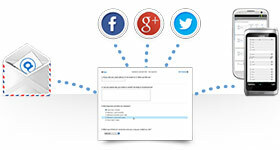 You can easily post your survey to social networks like Twitter, Facebook and LinkedIn. If you don't have any respondents, you can purchase a sample of participants that have various demographics such as location and age. With results coming in, you have a variety of ways you can display and analyze your data. You can see your data in real-time and view how many people have viewed your survey, completed it or dropped out. Once you gather enough information, you can create professional word clouds and infographics with just a couple of clicks. In addition, you can create data filters and pivot tables. If you need your data exported, you can export it to the cloud such as Google Docs or Dropbox. In addition, you can export a raw data file that you can bring into SPSS of Excel.